in the mean time, is there anything anyone else would suggest to help me? 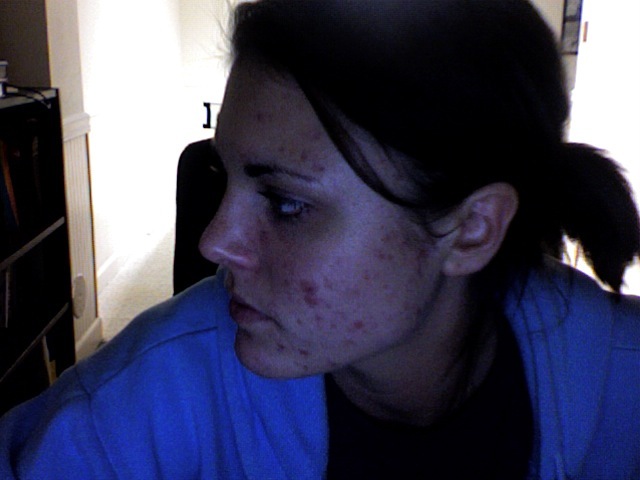 i'm going to go on accutane soon. i just want clear skin before i go off to college! i cannot even bear to imagine what hell my life would be like if i had to go to college, live in a dorm, and try to meet new people having my face look the way it does now. ugh! my worst nightmare, lol. well, best of luck to you all. xo. for topical treatment my derm always recommended good and potent vitamin c serum concentrate. For exfoliate some recommend easy and cheap method of baking soda and water made into paste, massage and rinse off. 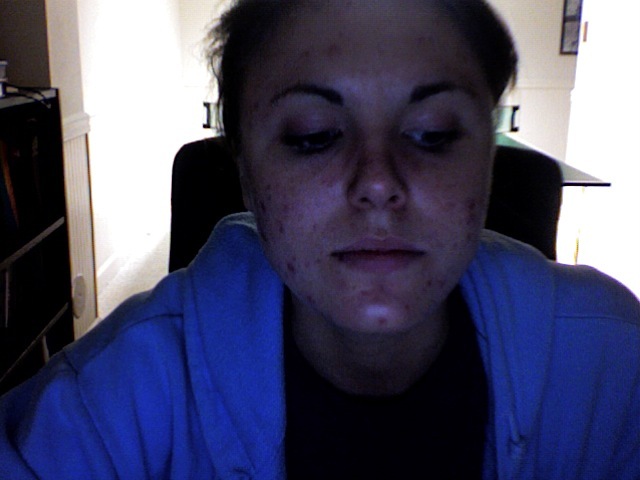 When I go out, I use to use Vichy's Norma Derm blemish and cover pen. It blends into skin really well, lighten marks and stays on throughout day very well too. well ive been using this acv bicarb and mask for just over a week. seems to be working. my formals at the end of the year and im going with the prettiest girl in the school. wish me luck on my marks. if i can figure out how to upload photos i will. i have a photo from the day befor. also mines worse. not as big ut definatly worse. i look like i have a scar belaclaver. You are very very pretty. Please keep us posted and good luck to you! I've had some luck with extra virgin olive oil on new red marks to keep them from getting really red. But i am always ALWAYS looking for new reccomendations. Thank you so much for your post. um, let me try to remember... right under where you write your post, there should be something that says Attachment, and you can choose your file. then there's a drop-down list that says Manage Current Attachments and you just need to choose your pictures. hope that works! I feel for you. I dont have it as bad as you, but it can be a hassle. You look beautiful too, so dont be down. Crack 1 egg into a bowl, take out the egg yoke with a spoon and throw it away, then squeeze a bit of lemon into the bowl (about few tablespoons should do it) Then, whip it up until you see the egg whites start to turn a little foamy. Next mix baking soda and water in a bowl till it turns into a paste. Next mix 2 parts water, 1 part ACV in a cup. Ok so you've once you've got all that made use the baking soda/water paste first as an exfoliant, but be gentle. Wash it off once you're done. Then, take a cotton ball and dip it in the ACV/water mix, then dab it wherever you see redmarks. Leave the ACV on for 10 minutes then wash it off. Finally, put the egg whites/lemon mask on. It'll feel kind of gooey and groose at first but it's worth it! Leave the mask on for about 20-25 minutes then wash it off. After that you're done! Just go to bed. I wish you the best of luck and I hope you get the skin you're looking for. hi just a silly question. Do you mix enough to last a week and leave it in the fridge or do you routinely do that everynight?? im definietely going to give that lemon mask thing a try!!.. also the ACV do you just find some bottle from the supermaket?? those will fade significantly over time. If you think those are bad, you should see me! I've found that vitamin E really helps. Right now I'm using it from a capsule (poking it and putting the oil onto my face) at night. It's also available in bottles. It has not clogged my pores or caused breakouts (in fact it's help clear me up,) but other people might react differently to it. 1) Don't pick your skin, ever. 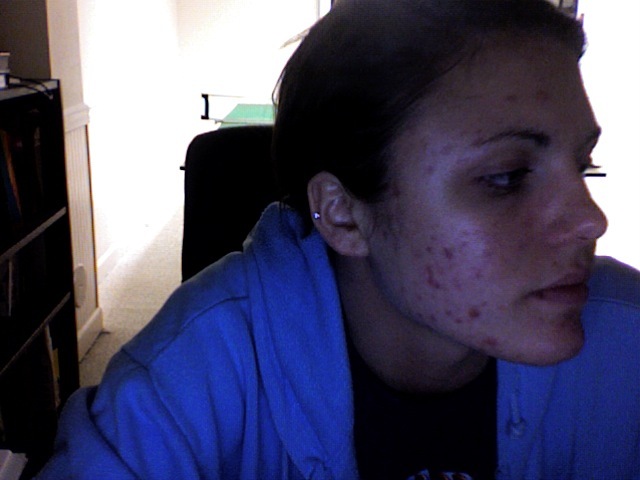 This makes it very hard for your skin to heal itself and causes more marks and scarring. 2) Try a moisturizer with sun block in it and try to stay out of the sun while the marks are healing. This can help speed the process up. You don't have to live inside 24/7, but try to avoid going out when the sun is at its most intense. When you do go outside, don't stay outside for a long continuous time. Try wearing brimmed hats if you don't mind wearing hats.